It’s always tough to watch a beloved institution decimated by the changing digital economy, but unfortunately, we’ve just seen another incidence of this sad phenomenon: The New York City Fire Department has laid off 80 percent of its firefighters because it isn’t getting enough traffic on FDNY.org. Heartbreaking. It looks like no one is immune to the merciless forward march of the internet. FDNY commissioner Daniel A. Nigro announced the massive layoffs this morning, saying that though he respected each and every one of New York’s firefighters, the stark reality was that the department’s web traffic had slowed dramatically and was taking a massive toll on revenue, leaving him with no choice but to make significant cuts to firefighting personnel. Nigro added that in order to grow the department’s social reach, it plans to use the resources freed up by laying off staff members to create short, low-budget viral videos about fire safety as well as longer-form content like “The Daily Blaze: Today In FDNY History” that will keep users on their web page and generate the ad revenue the department needs. The commissioner said that he was looking forward to the remaining staff turning their attention to “exciting branded initiatives” such as the FDNY’s new digital partnership with Sprite called #UnSpriteYourEmergency, which will provide weekly multimedia content about how to keep Sprite products safe in disaster situations. This is truly devastating. The ruthless tides of modern business have claimed yet another much-loved organization. 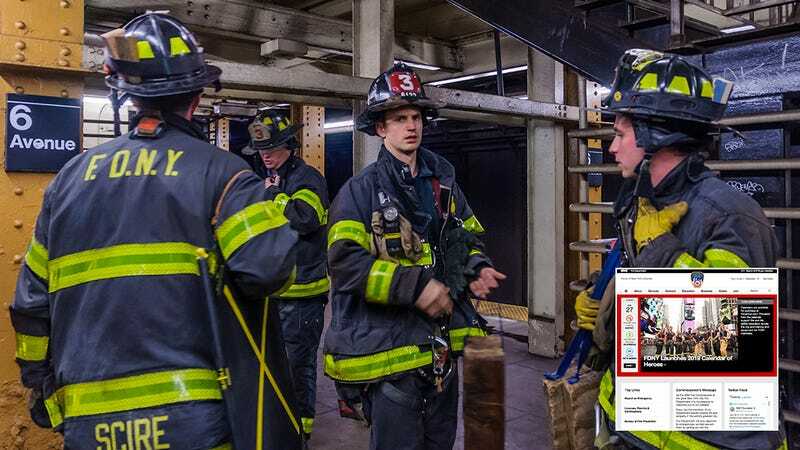 Our hearts go out to the firefighters who lost their jobs and to anyone whose safety will be affected by the FDNY’s lack of funds, but hopefully the FDNY will be able to do good things with its leaner staff and new focus on web traffic goals.